Who is ready to throw some dirt? 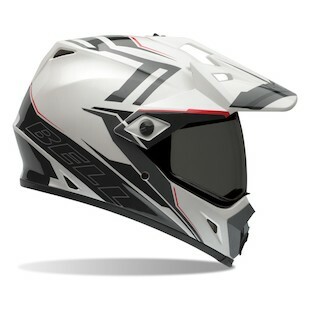 Bell is coming at you with a new lid for those dual sport enthusiasts and this bad puppy is shaping up to be a lid you will want to add to your gear closet. Girlfriends, boyfriends, wives, husbands, and partners, please forgive us as our gear closet will only continue to grow. It is a sickness that we simply cannot shake. Introducing, new for 2015, the Bell MX-9 Adventure. The MX-9 Adventure is a polycarb construction and will include 3 different shell sizes. The new peak on the MX-9 is designed to work best at highway speeds to reduce lift and neck fatigue. This lid also has 9 vents in total but don’t forget you can always lift the faceshield open to get some direct airflow. 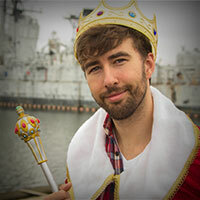 I am hoping you guys already knew that though…? I will note that you cannot close the top vents and this is something we are not super stoked on. But it is certainly not a deal breaker for us. Half of the time I personally never notice the difference when my vents are open or closed. Anyone with me on that? No! Okay, well let’s just move onto some graphics, such as the Bell MX-9 Adventure Blockade Helmet which comes in white/grey/black with red accents. The Blockade graphic looks very sharp, and should work well with a large variety of different gear. However, if you are looking for something with a bit more visibility, the Bell MX-9 Adventure Hi-Vis option is also available and will really pop! A nice design feature for this helmet is that it functions well with or without the peak visor. The helmet also looks super rad when the peak visor has been removed, and the Hi-Vis color allows you to stand out even more. 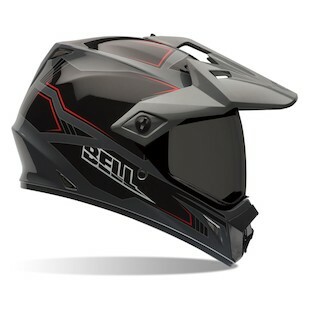 If the Blockade nor the Hi-Viz option tickle your fancy, there is also the Bell MX-9 Adventure Barricade Helmet, which comes in grey and black with red accents. While I cannot promise this helmet will make you a better rider I think we can all agree it will certainly add some style to your wardrobe. Around the $200 price point this helmet is going to prove to be a solid choice for any dual sport rider. Whether you are riding off the beaten path or ripping down the tarmac, this helmet should offer great functionality during both applications. If you have a few more rides in your garage that are not dual sports, don’t forget, you can always remove the peak and rock-n-roll. 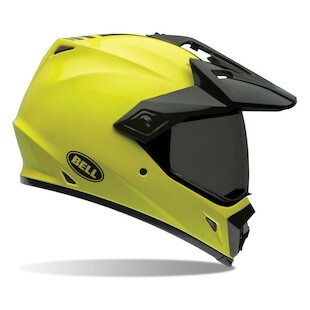 We hope you guys are as excited about this Bell MX-9 Adventure helmet as we are.